Tops made especially for pole dance! And they're incredibly flattering for all bust sizes. 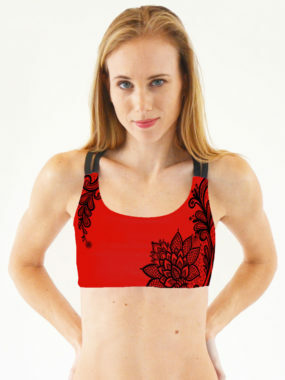 Boomkats top gives you comfort as well as support during an intensive workout. At first glance, it looks like an ordinary sport's bra, but it's much more than that. With crisscross straps at the back, it gives you the feel and the look of a pro dancer. 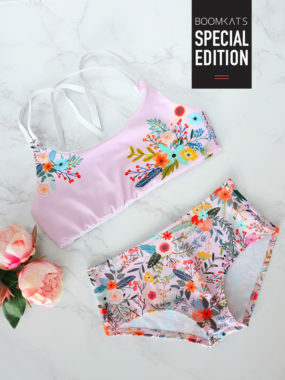 The support, coverage and the cuteness of this printed bra will make you feel special. No matter how intensive your workout is, or how often you invert during practice, everything that needs to stay in place, will stay in place. The material that our Boomkats pole dance tops are made of, is high-quality tear-proof fabric that allows frequent washing. 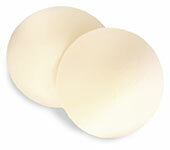 It has great stretch and shape retention and does not shrink. The fabric is crease-free, breathable, and absorbs little moisture. It's soft and firm at the same time. That's why we can honestly say that our pole wear is like a second skin! The material is durable and high colorfastness. That's why you can wash our Boomkats pole wear again and again. Our fashionable printed graphic will never fade away!